WASHINGTON -- The Defense Department's Spouse Education and Career Opportunities program is launching a new partnership with LinkedIn -- the virtual professional networking platform. Military spouses will soon have access to a free LinkedIn Premium membership, valid for one year, every time they have a permanent-change-of-station move, including access to more than 12,000 online professional courses through LinkedIn Learning, as well as access to LinkedIn's military and veterans resource portal. The membership is also available for the spouse of a service member who is within six months of separation from the military. "The partnership with LinkedIn will offer military spouses a great opportunity to advance their careers during their times of transition," said Eddy Mentzer, associate director of family readiness and well-being in DOD's Office of Military Community and Family Policy. "Spouses will be able to access a global network of professionals any time, from any place. They can plan their next career step before they move, as soon as they have orders [for a permanent change of station]." A premium account includes enhanced insights comparing users to other applicants, on-demand learning, and use of the InMail feature, where users can send direct messages to LinkedIn members they're not connected to. 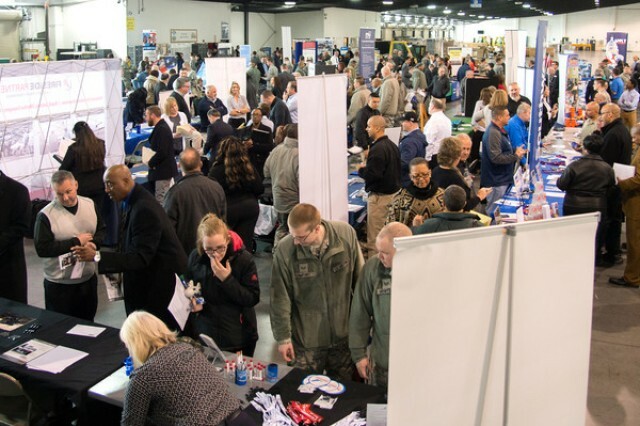 As corporate interest in hiring military spouses steps up, DOD and LinkedIn will be using the military spouse LinkedIn group to connect spouses to each other and employers. "It is important for military spouses to see LinkedIn Premium as more than just enhanced networking. LinkedIn has developed a learning path specific to military spouses to help them find and succeed in remote, flexible, and freelance work opportunities," Mentzer said. "Additionally, LinkedIn provides enhanced resources for spouses that own and operate their own business as well as for employers to search the military spouse community for potential employees." The LinkedIn partnership is designed to help military spouses overcome a common challenge -- sustaining steady employment. The number one contributing factor to military spouse unemployment is continual relocation from duty station to duty station. On average, active-duty military personnel move once every two to three years, more than twice as often as civilian families, and military spouses move across state lines 10 times more frequently than their civilian counterparts. "Empowering our community of military spouses to reach their personal and professional goals is part of maintaining a healthy military community," said A.T. Johnston, deputy assistant secretary of defense for military community and family policy. "We encourage military spouses to take advantage of the LinkedIn Premium membership opportunity as just one of many tools available to them through the SECO program."